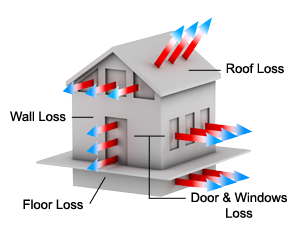 Since spray foam insulation is a seamless insulation material it reduces sound that can easily go through cracks and crevices making your home more cozy and private. It is the perfect noise reduction system for sound transfer through floors and interior walls and reduces outside noise such as road traffic, planes and trains. Noise from the outside normally enters your home through gaps and cracks between your walls and around your windows and doors. Effectively sealing these openings with spray foam insulation helps bar noise and create a comfortable living environment. Spray Foam Insulation is a low density foam that allows enough absorption to provide sound barrier in various building applications. This is perfect for homes theaters, music studios, playrooms and more. This is also perfect for any building that’s built with shared walls such as apartments, condos and offices. Designed to cover and fill large voids and surfaces, spray foam insulation is simple to install and will adhere to just about any building material, conforming to the surrounding area.